More motor vehicle crashes occur on Route 95 than any other road in Maryland. More awfully, it ranked #23 on one study of most dangerous highways in the country. Not surprisingly, it is the most widely used highway in Maryland, as well as the east coast, particularly for truckers given its proximity to the Port of Baltimore (where there have been a number of prolific truck accidents). Interstate 95 runs 1907 miles (3070 kilometers) up the east coast. The southernmost point of I-95 is in Miami and extends to the Canadian border in Houlton, Maine. 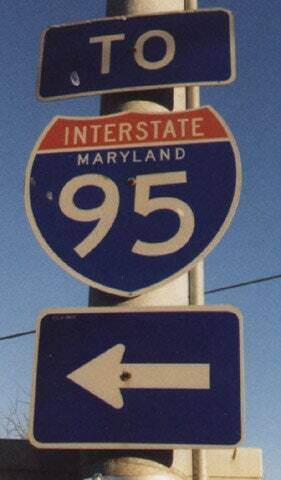 Over 110 miles of Route 95 cuts through Maryland, connecting with such key trucking routes as which includes spur routes such as Route 195, Route 395, Route 695, Route 795 and Route 895. Historically, a disproportionate number of fatal big rig truck wrecks in Maryland on Route 95, even more than you would expect given the extensive trucking activity on the highway. Specifically, there was a larger number of fatal rear end truck accidents than would be expected, particularly in specific areas of Baltimore near the Baltimore Harbor Tunnel. The reason for this high incident of truck accidents, investigators determined, was too many narrow or nonexistent shoulders on the Maryland stretch of Route 95. This problem leads to more rear end truck accidents in Maryland because one of the leading causes of big vehicle crashes is their inability to stop, causing rear-end crashes. These are usually not the most deadly type of crash. But, when you are taking about 20,000 lbs and bigger vehicles, death becomes not only possible but likely. Thankfully, we have made some progress on this front. Once this problem was clearly identified, something good happened, actually. Efforts were made to build or expand the shoulders in these problem areas and the number of rear end truck accidents on I-95 have thankfully significantly declined. What is the value of your truck accident claim? It is not just trucks that are causing problems on our highways.